Tom Glenn, program Director (Adult Sports & Special Olympics Athletic Director) at the Warren County YMCA, has provided many opportunities for Monmouth community members' to become active and to come together. Tom is well known to the students of the Kinesiology department at Monmouth College for his generositiy and fun filled activities. He offers students internship opportunities at the YMCA to learn a wide variety of skills through athletics. 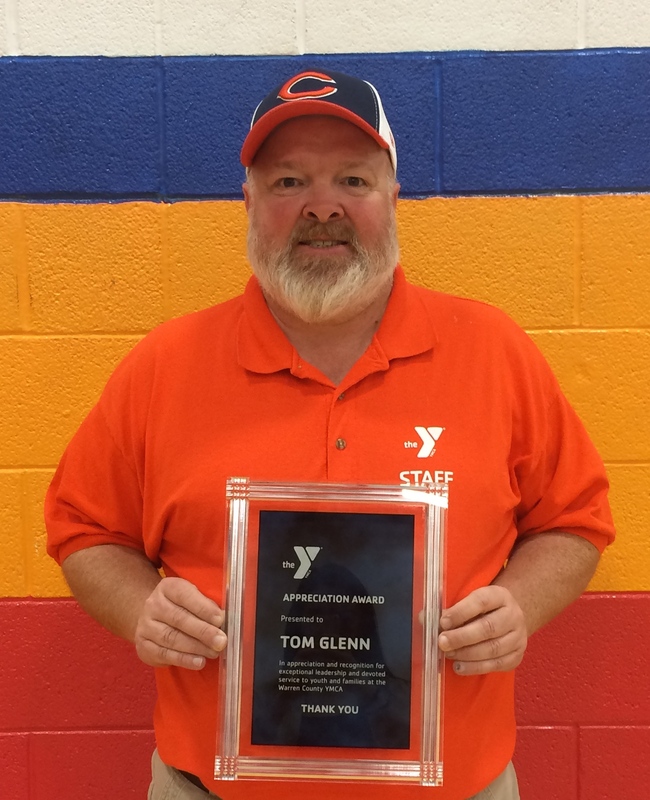 Tom Glenn grew up outside of Seaton, Illinois but never intended to be where he is today. Growing up Tom thought he was grow up to be a farmer following in his father's footsteps. "I looked up to my father and learned right from wrong from him" said Tom. As he grew up he thought the Navy or being a Salesman was the right path for him. Toms's passion for helping others before himself allows for the opportunities for the community of Monmouth and the college to benefit. All of these qualities has made him a local hero in many community members eyes.